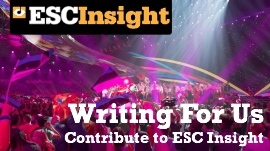 Eurovision Insight Podcast: Some Death-Violin with your Semi Finals? This week’s news, with a new logo for Eurovision 2011, a new look for Eurovision.tv, the semi-final allocation, winners from the National Final heats, and a bit of death-violin music to finish from Alexander Rybak and Keep of Kalessin. Norway 1985, Ireland 1996, Ukraine 2008 and France 1969 stand before Paul Jordan and Colin McKnight in the next heat of Ultimate Juke Box Jury. What happens when passions are high, the smell of competition is in the air, yet your Contest is ignored by everyone for something more worthy? Take two of Elaine Dove’s passions, Darts and Eurovision (Surprisingly, they do have a lot in common),the former could teach the latter a few tricks in getting the UK public back on board and supporting their country in Europe’s Favourite TV Show. This weeks news, with Slovakia changing their mind (again), Sweden changing the Melodifestivalen voting rules, Ireland potentially change just the first name, and Turkey definitely not changing their mind. With music from Yuksek Sadakat.